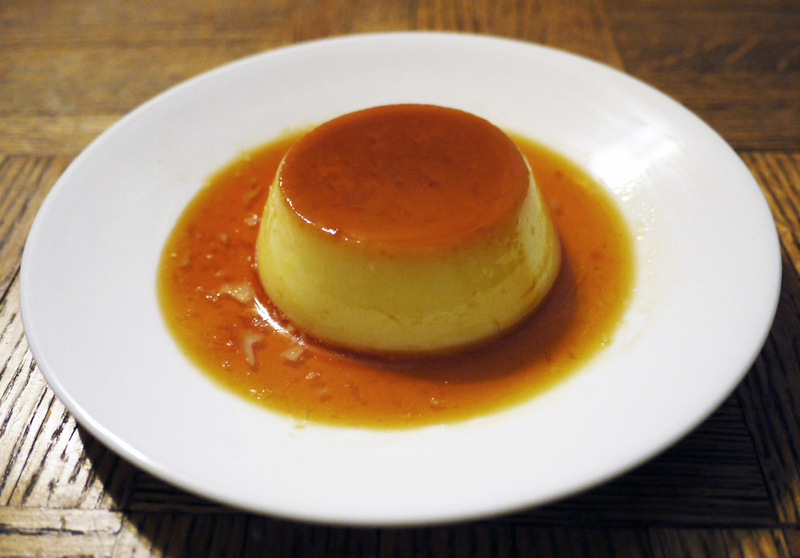 Purin is almost unfairly easy to make, considering the adorable and delicious dessert that results in the end…. But, like any recipe, there are a few very important techniques and tips to keep in mind. The first thing you need is a vessel to steam your purin in. It could be a mould designed specifically for making purin, or a heat-proof mug could be used. I like to use a ceramic coffee cup that tapers a bit, with the bottom narrower than the top. Purin moulds typically have tapered shape, and it should hold at least 1/2 cup of liquid or more. 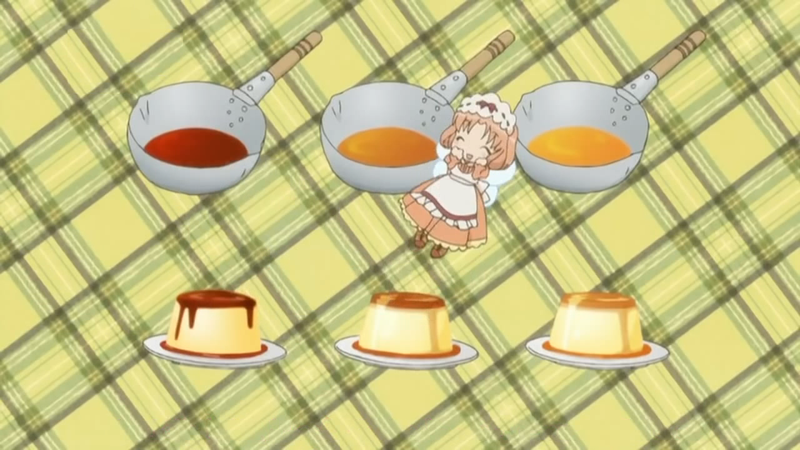 When making purin, the first step is making the caramel. It can be hard knowing when the caramel is finished, and honestly, it’s really up to your tastes how dark you would like it, with a darker caramel being more bitter than a lighter one. While there should be some bitterness in the caramel to offset the sweetness of the custard, cooking it for too long will result in burnt caramel that will be overly bitter, while cooking it for too short a time will result in an overly sweet caramel that will not contrast well with the custard. The colour turns very quickly from medium to dark, so have your hot water at the ready so that the cooking process can be halted when you have reached your ideal caramel stage. Check out the picture above for a visualization of what your caramel might look like, with colours ranging from a dark to a very light caramel. Also, be very careful adding the hot water to the caramel as it can cause the caramel to splash up and burn you. Hot water will lessen the amount of splashing (versus cold or room temperature water), but still exercise caution. Using a long-handled spoon or ladle to add the water will help minimize your proximity to the pot and your chance of being burned. Now for the custard: while making it, it’s important to try and not whip too much air into the custard. Doing so can cause the custard have pockets of air inside. The purin will still taste good, but will not be quite as attractive – see the adjoining picture for an illustration! To prevent this, a good technique is to keep the whisk in constant contact with the bottom of the bowl while you mix. 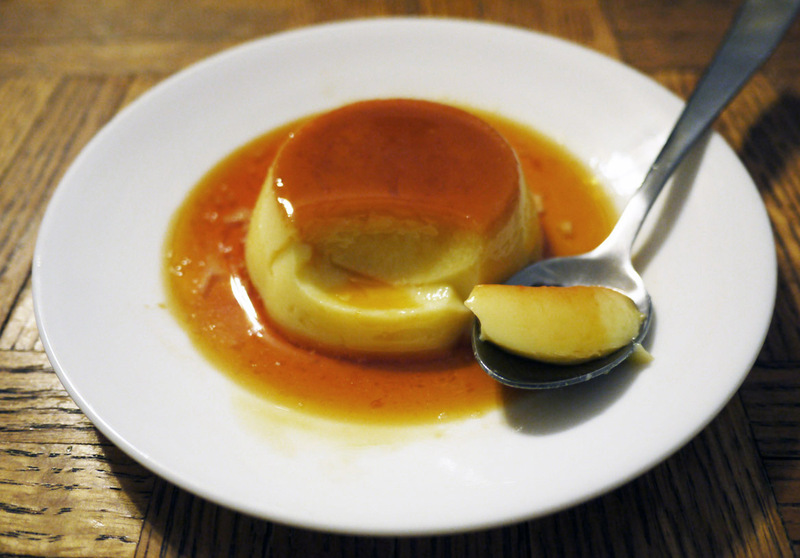 As for cooking the purin, this can be done in either an oven or on the stovetop. I much prefer the stovetop for small, individual-sized portions (like in the recipe below) since it’s more convenient and I can control the heat better. It’s very important to not let the water boil or to overcook the purin as doing so can cause the custard to become bubbly along the edges and not as smooth. To stop this from happening, make sure to carefully adjust the heat so that it never boils. 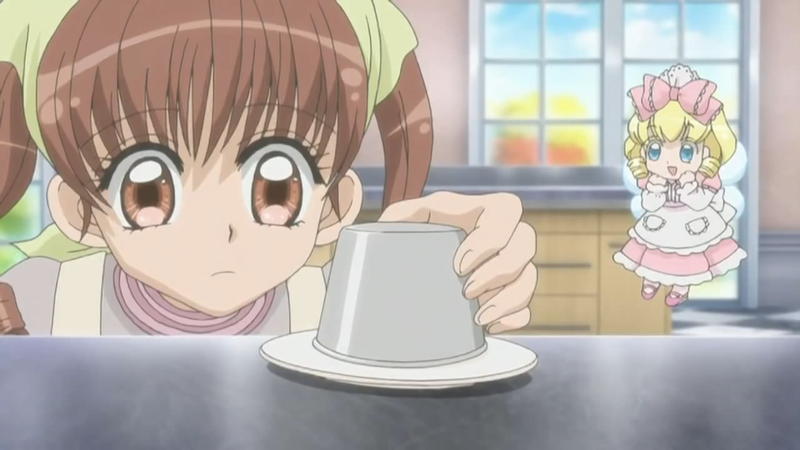 Placing the cups of purin on top of a small dishcloth or towel at the bottom of the pot will also help to even out the heat coming from the element below the pot. I’m pretty sure you know what eggs, sugar, and milk are, and where to buy them. Let’s get cooking! 1. Lightly butter the inside of 4 purin moulds. Place sugar and water in a saucepan. Bring to a simmer on medium heat. Gently swirl the liquid around the pot as the sugar melts and is dissolved into the water. Continue heating and swirling the pot until the sugar turns a deep amber colour, being careful not to burn the caramel. 2. Remove caramel from the heat and, using a long handled spoon or ladle, carefully add hot water to the caramel in 2 – 3 small portions. Swirl the contents of the pot together to incorporate the water into the caramel. Be careful of hot caramel splashing up during this step, as it can cause burns. Evenly distribute caramel among the 4 moulds. Set aside. 1. Prepare the steaming environment for the purin: Fill a pot with a fitted lid with enough water so that the bottom half of the cups are covered when placed into the water. Place a small, clean dishcloth or towel at the bottom of the pot to help distribute the heat evenly. Bring to a low boil. 2. While the water is heating, place milk and sugar in a small pot set on medium heat. Stir occasionally until the sugar has completely dissolved and the milk is hot and steaming. Whisk eggs in a heatproof bowl until the yolks are well incorporated into the whites. Try not to produce too many bubbles or mix a lot of air into the eggs. Slowly pour the hot milk into the eggs, whisking vigorously as you pour, being careful not to scramble the eggs. Ensure the eggs and milk are incorporated together completely. 3. Strain the egg mixture using a fine meshed strainer and remove any foam from its surface using a spoon. Gently pour egg mixture evenly into each mould with the caramel sauce at the bottom. Cover securely with foil. 4. Gently place the uncooked custard in the prepared steaming environment. Cover the pot with a lid and cook, making sure the water remains just below the boiling point. 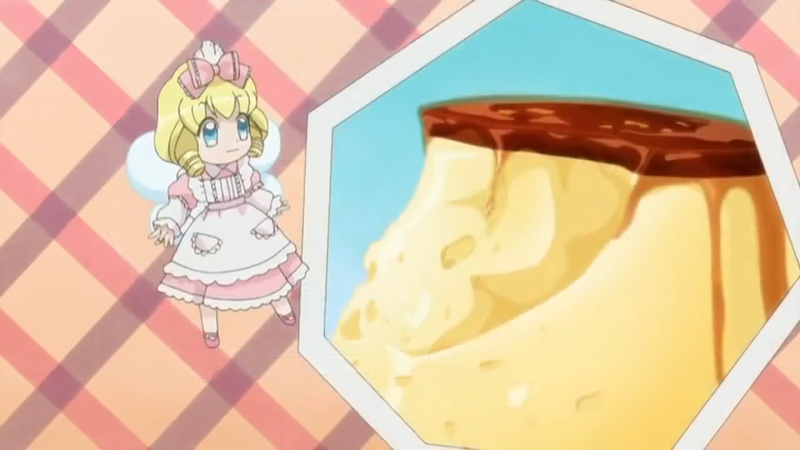 Steam for 15 – 20 minutes, or until the top of the custard has solidified and is shiny, and the purin wiggles slightly in it’s mould when gently shaken. Remove from hot water and let cool to room temperature, keeping the foil covering the moulds. Refrigerate until thoroughly chilled, about 2 hours. Just before serving, remove the purin from the mould. 1. Run the tip of a thin knife along the top edge of the custard. Hold the mould at an angle and gently tap against a hard surface, turning it slowly to loosen the custard from the mould on all sides. 2. Turn the mould upside down on a serving plate. 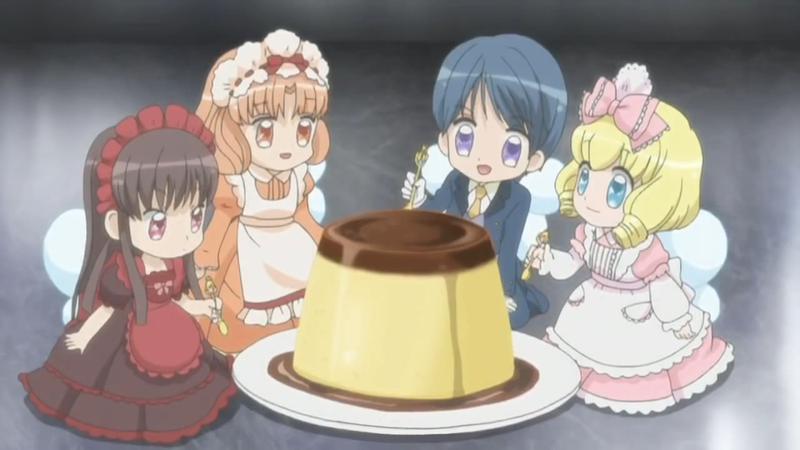 The purin should pop out of the mould, landing with the caramel facing up. Tap the bottom of the mould if it does not come out. Be gentle with the purin as it is very soft and a bit fragile once removed from it’s mould. Note: If your mould is not very full, you may need to gently guide the purin out by holding the mould at an angle and turning it slowly while tapping the bottom. 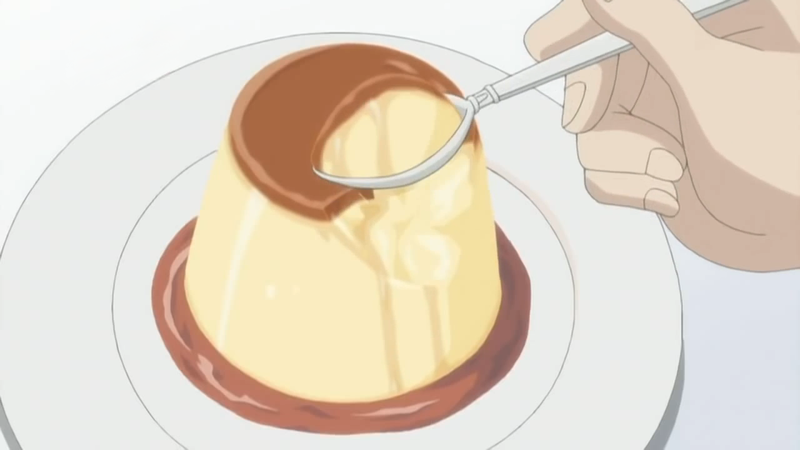 This will prevent the purin from landing with the caramel on the bottom or from breaking.